The Heritage Expeditions is the brainchild of Alejandro Mirabal, one of the most experienced Maritime Archaeologists and Expedition Leaders in the world and holder of the Guinness World Record for the Most Historic Shipwreck Locations Visited. Born in Cuba in 1964, Alex Mirabal is a Maritime Archaeologist with a Master degree in Marine Biology. He has 30 years of fieldwork experience in four different continents and is the author of several academic publications. Following his childhood dreams he has worked on more than 300 historical wreck sites as archaeologist, operations manager, surveyor and diver in Cuba, Cape Verde, Mozambique, Vietnam, Brazil, Indonesia, and England, clocking up more than 10,000 dive hours. From 1985-98 he worked at a state archaeological organisation in Cuba where, besides excavating a large number of the most significant historic wreck sites in the country, co-directed and produced several documentaries and TV series on the subject. He also cooperated with the European Institute of Archaeology in the first large scale geophysical survey in the country. In 1998, he was the selected maritime archaeologist to represent Cuba’s achievements in the field at EXPO’98, “The Oceans, a Heritage for the Future” a World’s Fair in Lisbon, Portugal. 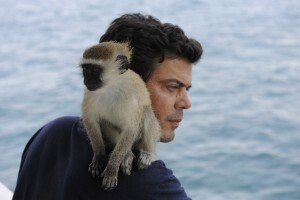 From 1999 until mid 2015, Alex Mirabal worked for a Portuguese based company as archaeologist where, in close cooperation with Dr. Margaret Rule (CBE, FSA) and the Oxford University’s Marine Archaeological Research unit (MARE) developed the archaeological protocols to follow in the expeditions as well as the scientific publications of documented shipwrecks. In addition to his duties as the company’s main archaeologist, he was also Chief Operations Officer (COO) responsible for the Company’s marine archaeology expeditions and, based on his leadership skills, the formation of a lean team of international experts. Working as a team leader in demanding environments, away from home for months on a row, most of the time in challenging situations, leading multi-cultural and multi-religion crews, his life mission is to unearth centuries old mysteries at the most recondite places of the world in a responsible manner. 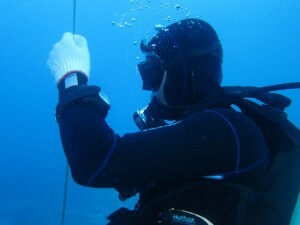 Additionally, Alex Mirabal has played a key role disseminating scientific knowledge and awareness for the protection of Underwater Cultural Heritage (UCH), having presented lectures on marine archaeology at prestigious institutions and universities in Cuba, Indonesia and Austria, and having participated in scientific events in the United States, United Kingdom, Netherlands, Germany, Mozambique, Cape Verde, Vietnam and Philippines. During the expeditions he had the chance to work with some of the most remarkable personalities in the field like the legendary Jacques Ives Cousteau, Franck Goddio and Dr. Margaret Rule. He regularly received visits from celebrities and influential people wanting to learn more about the responsible management of UCH and the environment, as the Hollywood star and environmental activist Kevin Costner and the Formula One World Champion Mika Häkkinen. Alex Mirabal is co-founder of a public benefit Foundation for the protection of UCH in the Netherlands, where he is a Management Board Director and President of the Executive Committee. Now, with The Heritage Expeditions, the epitome of his career, Alex Mirabal will continue his lifetime endeavour to protect Underwater Cultural Heritage as he likes to say “one wreck at the time”, giving the unique opportunity to interested individuals and small groups to share that vast experience and be part of the adventure.